This infographic appears to have been published in March 2017, based on fans surveyed during the 2016 season. While I’m curious about the methodology behind the survey itself (e.g. how do you define “baseball fan”? ), the results below are interesting. I posted another graphic several weeks ago that included the same information that can be found in this one. I do think that this chart is easier to read than the last one, however, which is what makes it worth the added share. 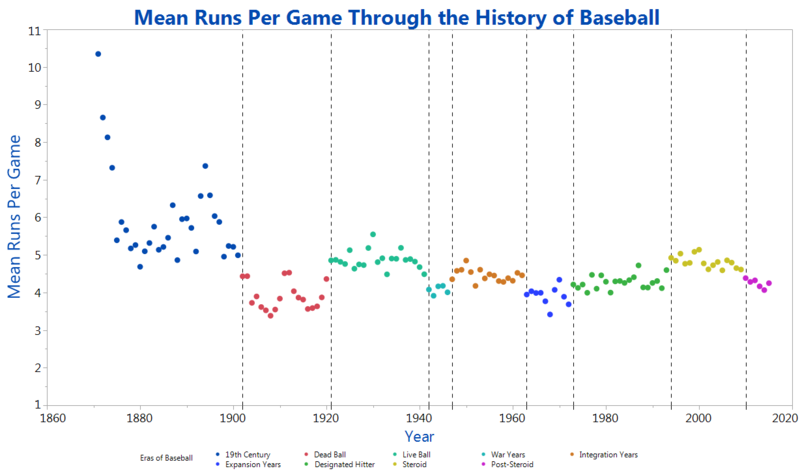 I think this one better depicts things like the dip in runs scored through the Dead Ball era and the relative leveling-off of run production in more recent years. I’m not sure of the author of this chart, other than it is posted somewhere on a statistical software site, JMP.com. Click on the image below to link to a larger version. I posted something similar to this a few years ago, but this infographic provides much more detail. 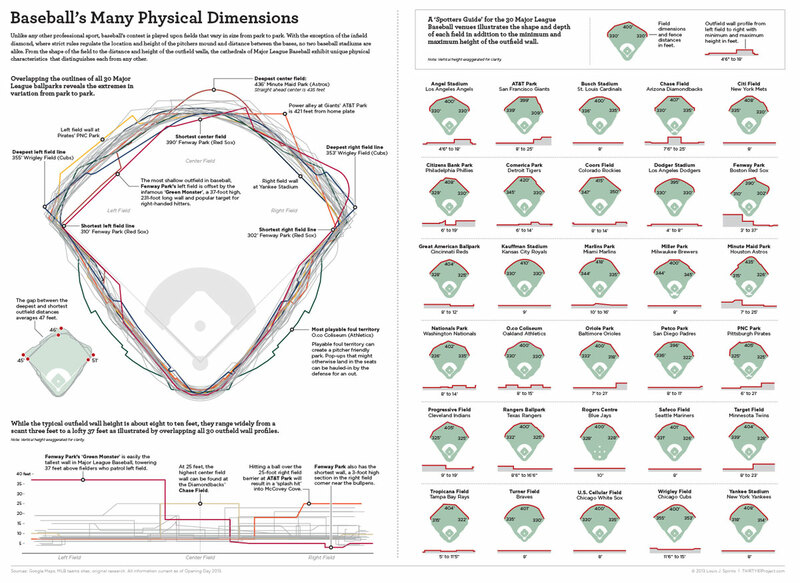 Created in 2015 by Louis J. Spirito, this graphic not only shows the shape of each ball field, but also goes into the heights of and distances to their outfield walls. Click on the image to link to a larger version. I haven’t had a chance to do much more than skim all the information on this infographic, but what I’ve noted so far is certainly fascinating. Click on the image below for a (slightly) larger version — though even then, you might still need to zoom in on it.